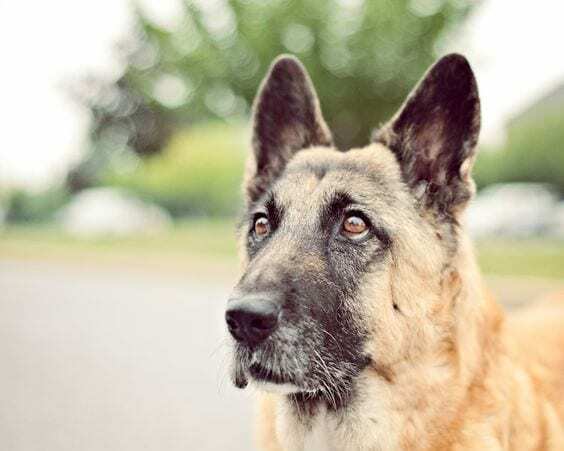 Ranked number two in a recent poll of the most popular dogs in the U.S. by the American Kennel Club, German Shepherds are a dog favored by dog lovers across the country. HoweverAs a matter of fact, you might want to consider rethinking them as a choice for an animal companion. And while German shepherds are considered a lovable and loyal breed of dog, don’t let appearances deceive you. 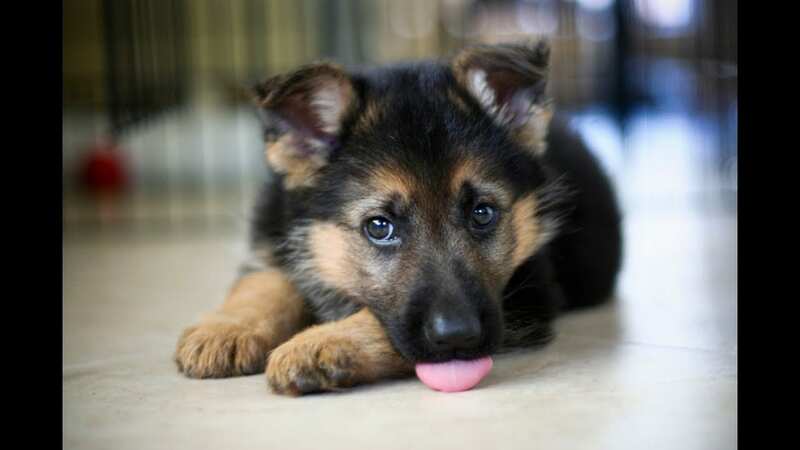 If you hate crazy and endearing behavior in a dog, then avoid getting a German shepherd. Not only will they steal your heart, they will also stick by your side to the end. And, who wants that? 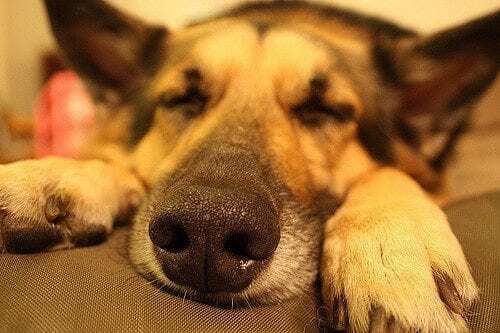 In this comical take on why you should rethink adopting a German shepherd, we list a variety of reasons this dog breed is a “bad” choice when choosing a pet for you and your family. 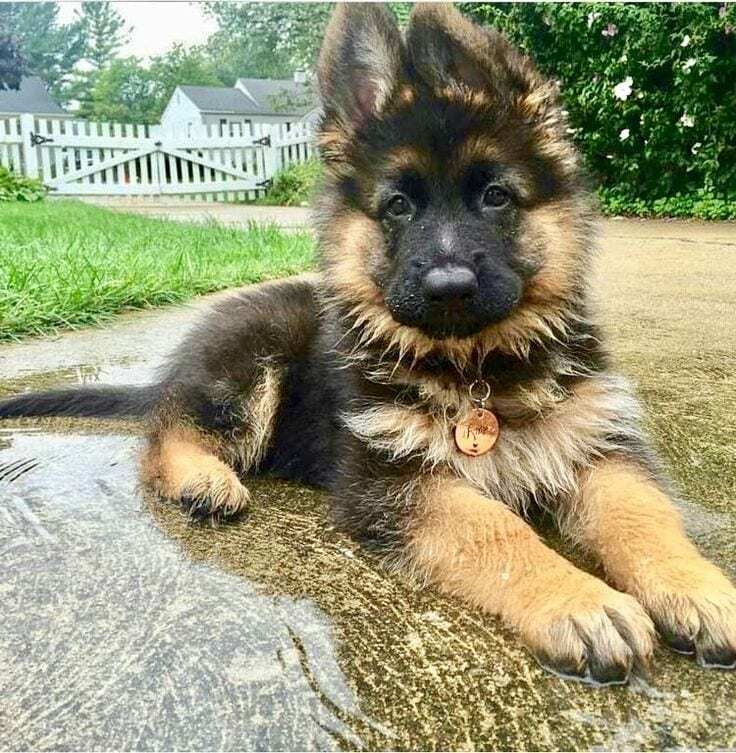 Regardless of what anyone says, German shepherds are not cute. Forget the fact that they will charm you and make you fall in love with them. Once you own a German shepherd you will never want another type of dog again. 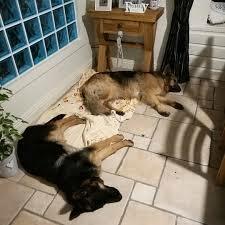 Forget it if you want to play with your German shepherd, they will have none of it. Throw a stick and tell them to fetch, and they will look at you like you have two heads. They neither have the time nor the inclination for your shenanigans. Sometimes it is hard to explain their actions (something common with all breeds of dogs). Not only does their loyalty show, it is almost uncanny in its implementation. I’m sure if they could, they would stick around, faithful even after death. 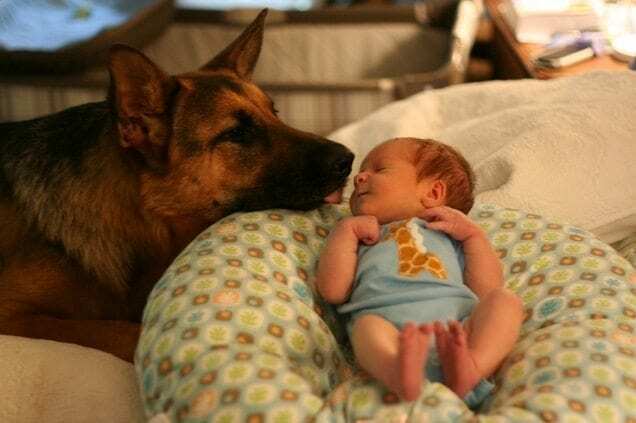 This photo really shows how vicious German shepherds are when they are first born pups. Never mind the fact that they can’t see and hardly move for the first two weeks, they are only setting you up for later in life by making you fall in love with them from the get go. Their “vicious” nature means you can never predict their behavior. And don’t let their gentle nature fool you. 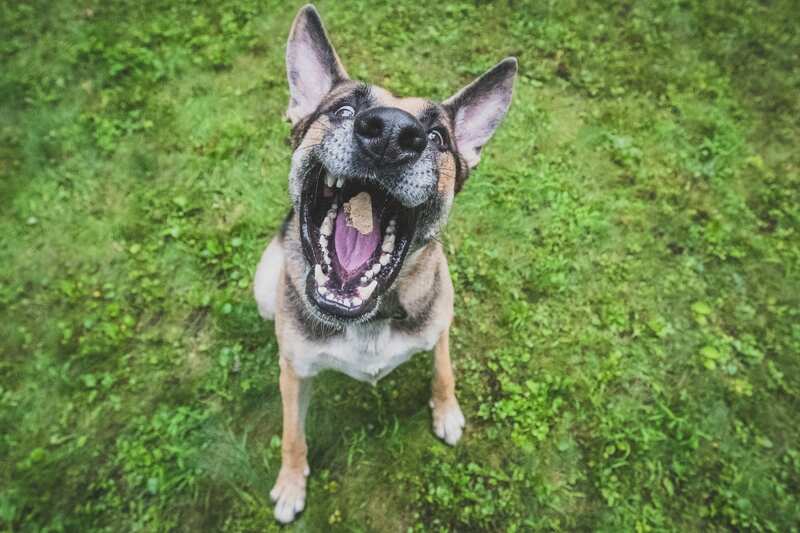 Not only do German shepherds not like playing around, they are quite serious when it comes to life in general. 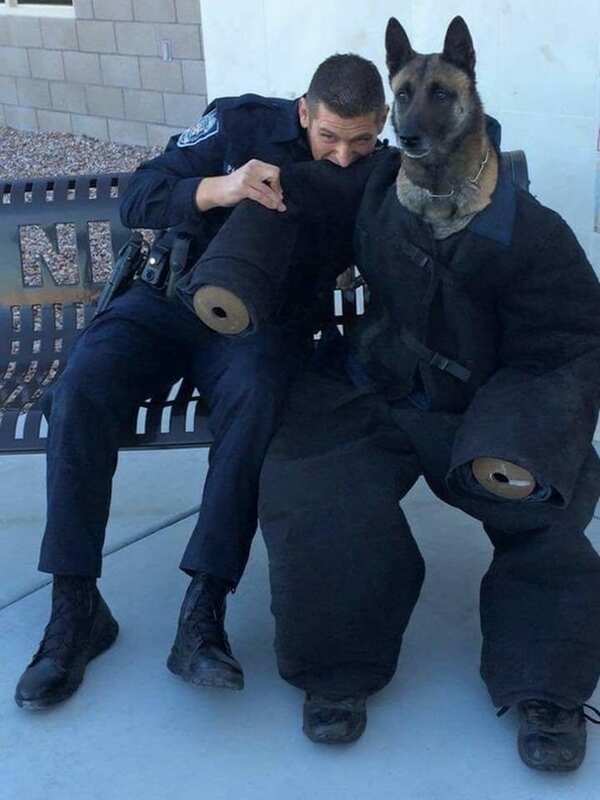 German shepherds are constantly in danger. You can’t leave them alone for an instant without having to rescue them from some situation. Furthermore, they are not reliable and can’t be trusted to stay out of danger when you are not around. 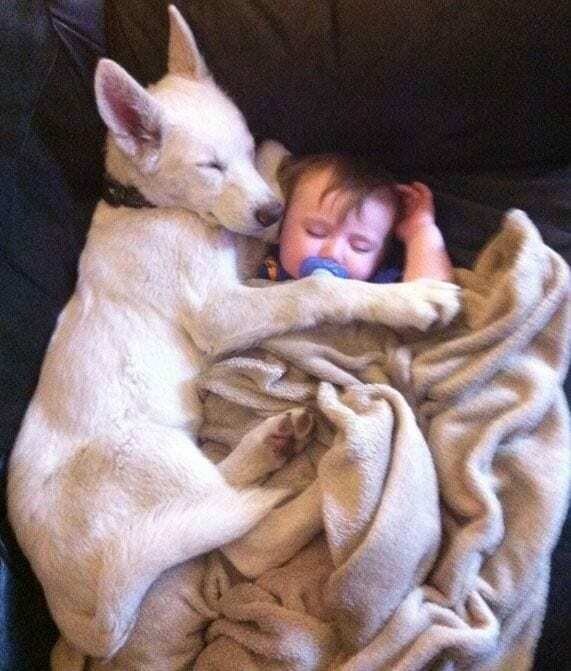 Even from a young age, this vicious dog breed terrorizes those around them. They are relentless in their pursuit of what they want, which is usually the misery of those around them. Not only will they chase you down, they will also impose their lovable will upon you. 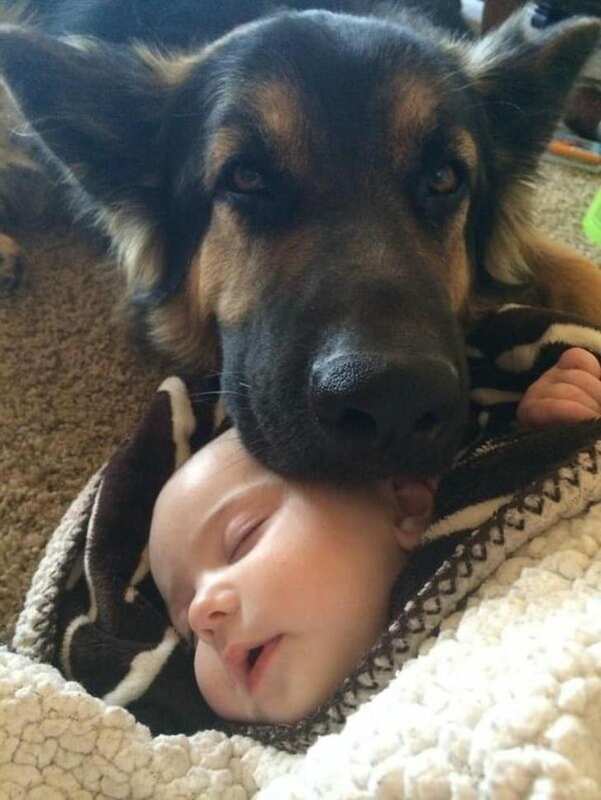 Another well-known fact about German shepherds is that you can’t leave them with kids, especially babies. Not only will they lick them to death, they also are very protective, coming between your little ones and anyone or anything that tries to harm them. 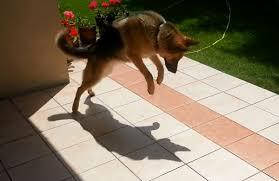 Another thing about German shepherds is the fact that they cannot entertain themselves if left alone. They are so intent on making everyone around them miserable that they sit their wallowing in their own misery. 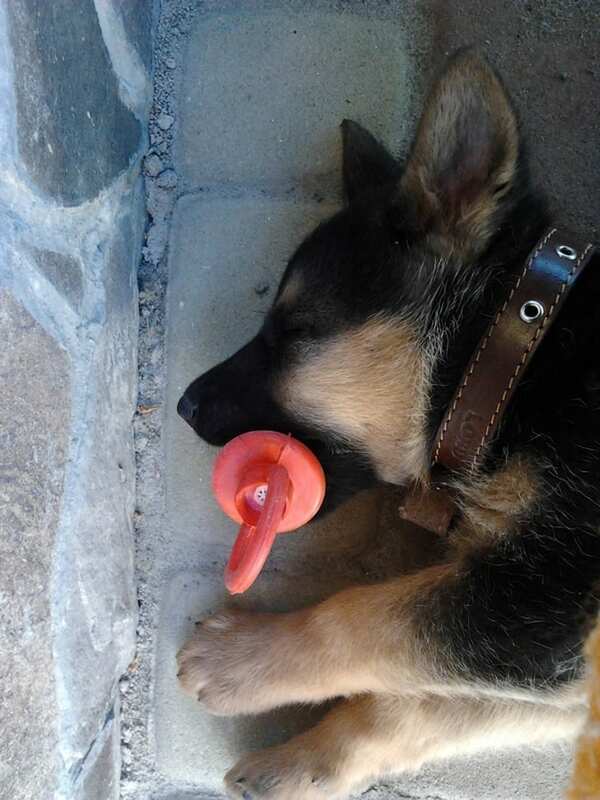 German shepherds have no imagination and do not know the meaning of the word play. They just lie around, moping, hoping for an opportunity to make your life more miserable. 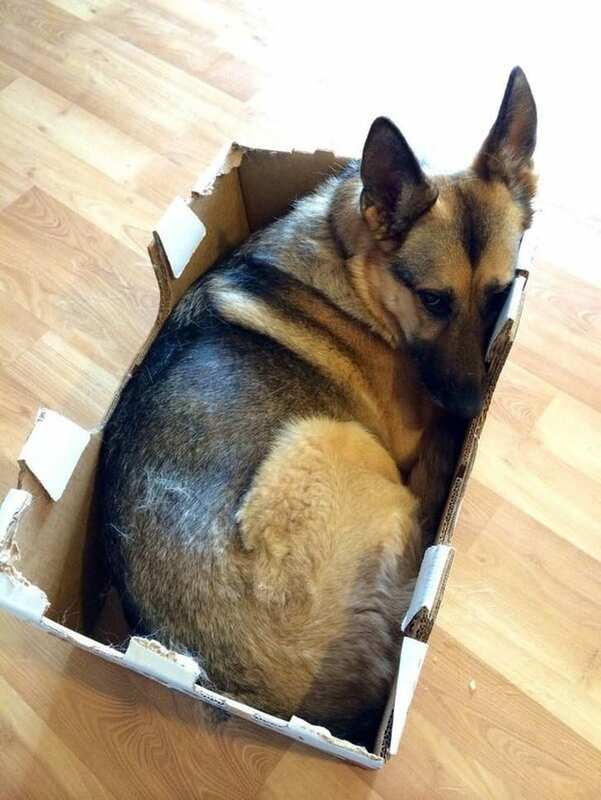 As a matter of fact, German shepherds are so miserable that other animals can’t stand them. 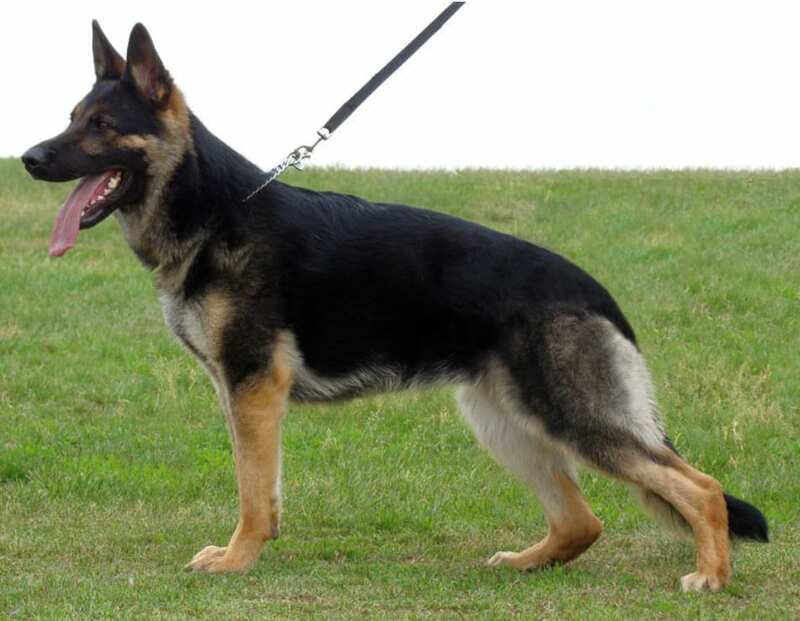 Other animals will even go out of their way to avoid a German shepherd, and will definitely not play with them. Other dogs make it a point to not hang around a German shepherd. They are the pariahs of the dog world. Even other German shepherds have a hard time being near their doggie brethren. 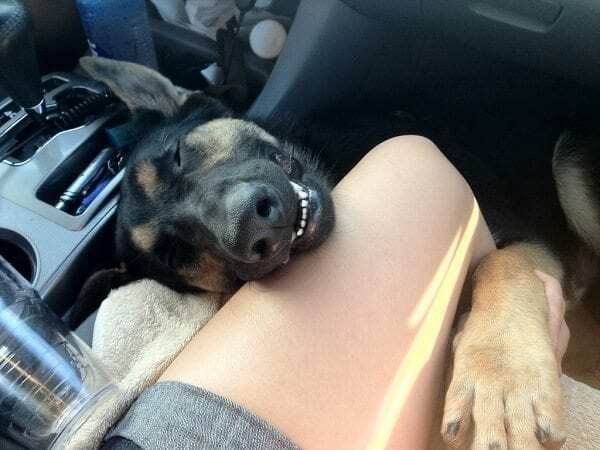 German shepherds are easily bored, which is the main reason for their ugly disposition. How would you feel if you were as miserable as they seem to let on? Trust me, there is not an ounce of patient in their furry bodies. 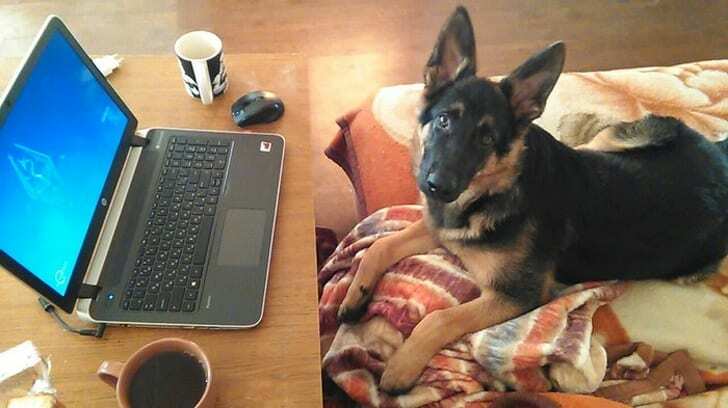 German shepherds never seem to have the time to relax, even though they lay around being bored all day. They are always on the lookout for any sign of weakness in anyone around them. This, in turn, puts them on edge as they are always on the lookout. As stated earlier, never leave a German shepherd with kids. Seriously, if you value the lives of your children, then avoid leaving them for any length of time with a German shepherd. Forget getting a German shepherd to cooperate with you when it comes to anything. They do not like to be dressed up and tire easily when placed in such costumes. So, forget about giving them a box to play with. They will catch it on fire and burn down your home before you will catch them playing with, or, God forbid, lying in it. German shepherds hate travel. As a matter of fact, they would rather walk than ride in a car. And don’t expect them to be happy if forced to get into the car. 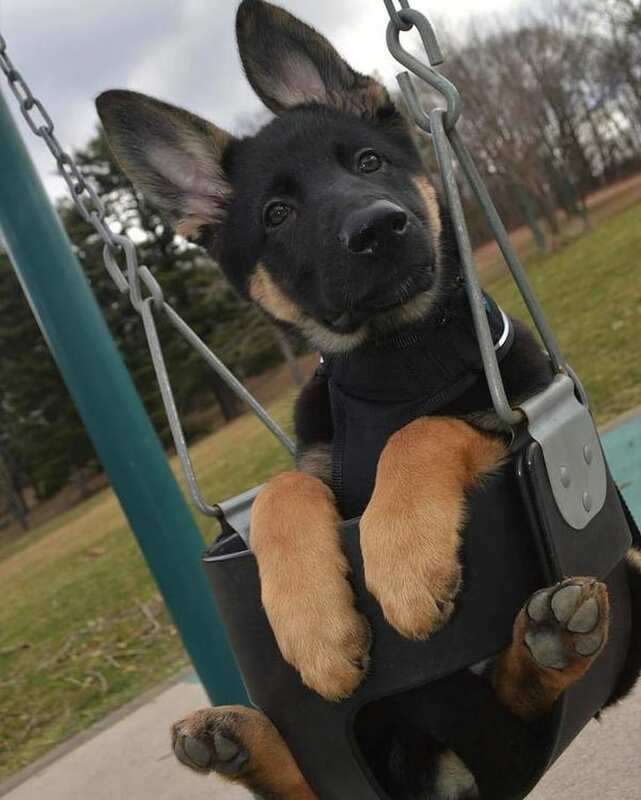 To a German shepherd, a smile is just an upside down frown. To smile would require them to use muscles in their face they would rather atrophy. 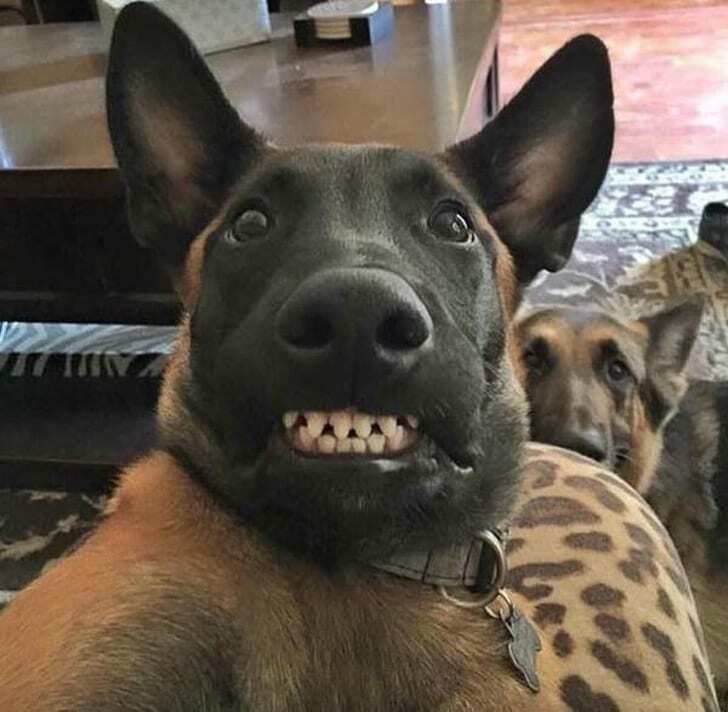 The only time a German shepherd does smile is when they have caused someone else misery. 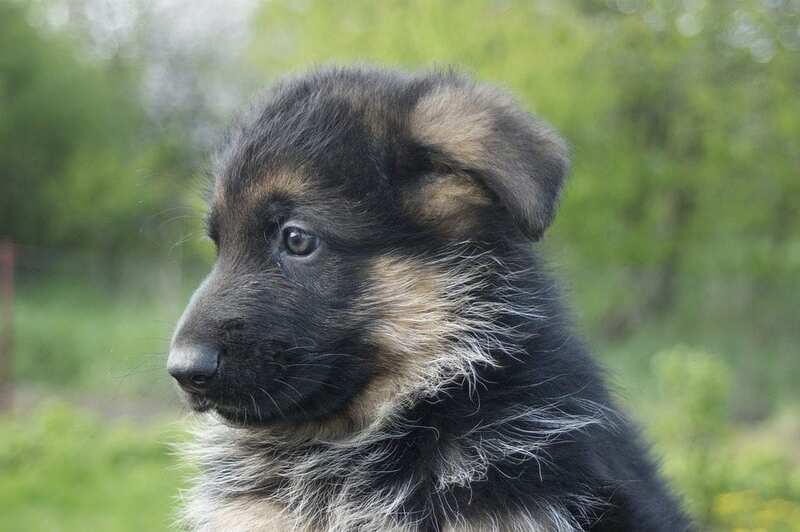 But, like I said, German shepherds are hideous. They do not have the look of a noble beats around them. One that is ready to protect its family at a moment’s notice and at almost any cost. You should not leave a German shepherd alone with another dog, especially if you love that dog. 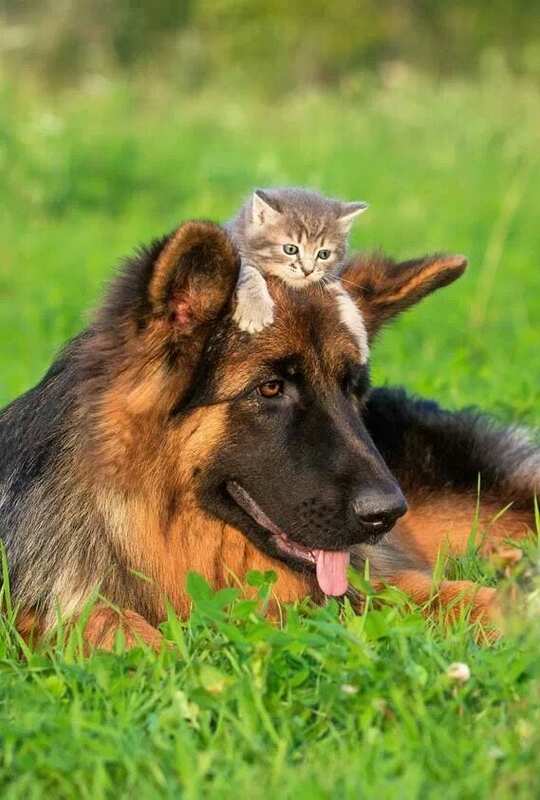 A German shepherd’s anti-social ways means that they can’t get along with others. They will even plot against other dogs to usurp their role as the family pet. 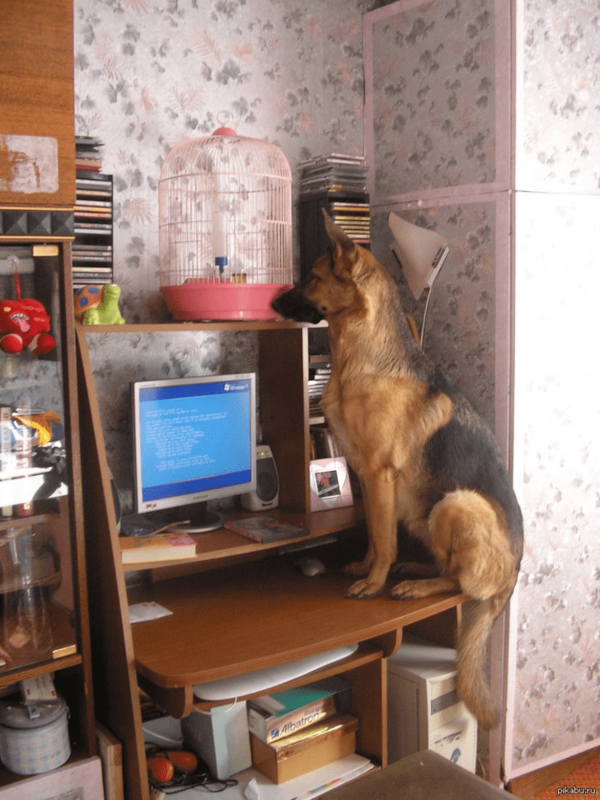 German shepherds like to ruin everything, especially chores around the house. They are also not dishwasher safe, as this photo seems to imply. 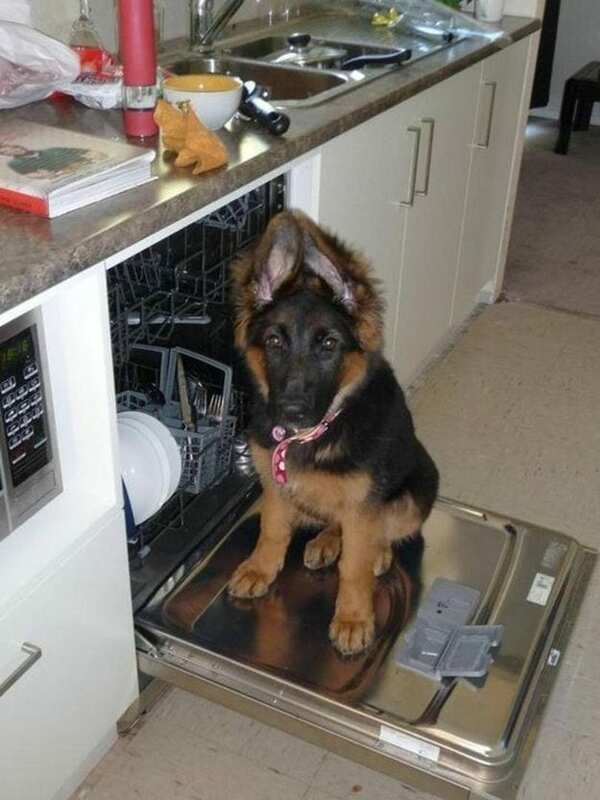 Definitely do not put your German shepherd in the dishwasher (This one is true!). 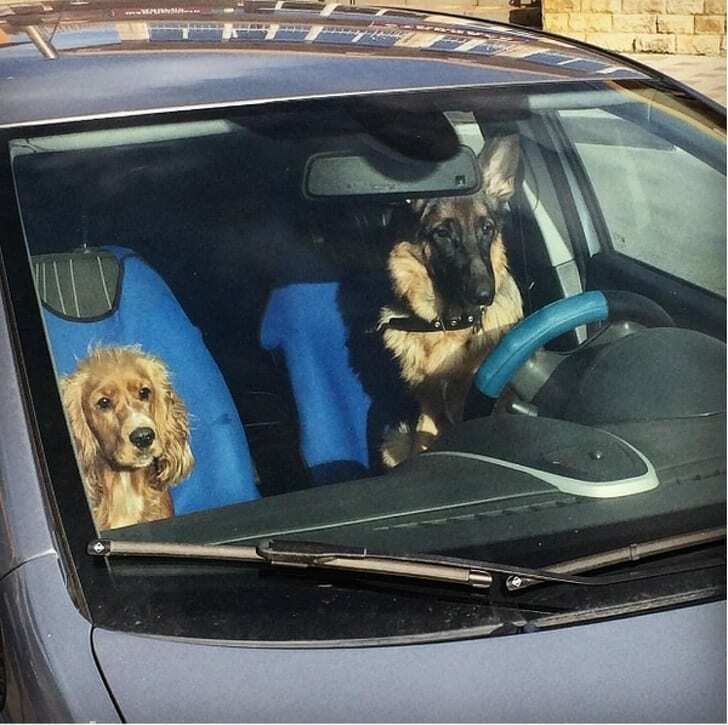 German shepherds are cowards at heart and will do anything to avoid danger. They will even go so far as to throw their owner into the face of danger to avoid anything they deem too scary. Not only are German shepherds miserable, they are also evil to th3e extreme. They sit there all day, visualizing ways to make you and your family miserable. Some even say they plan your demise with glee in their cold, black hearts. No matter how you slice it, German shepherds are not cute in the slightest. 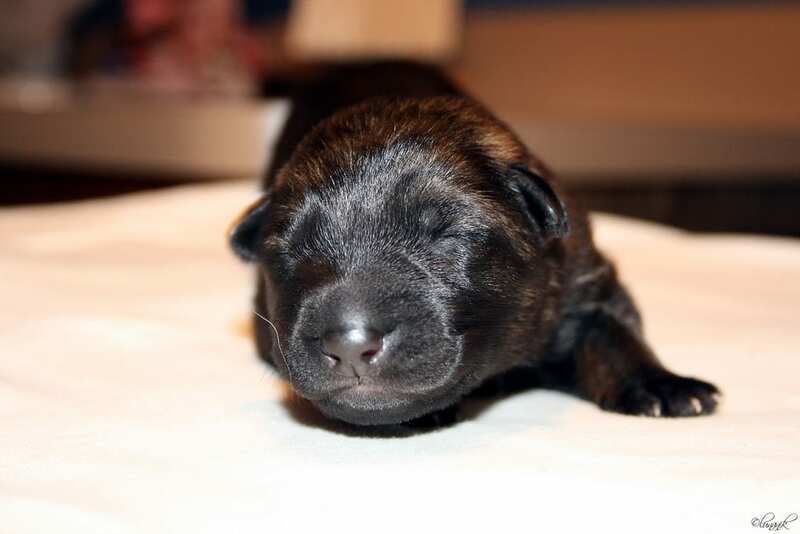 They are especially not cute when they are pups. And don’t you dare put them in a swing like a little kid. Don’t. You. Dare. German shepherds have the most menacing facial expressions. Not only that, they are incapable of anything else. And you can forget any happy expressions, such as a smile, because they are emotionless robots who thrive on misery. 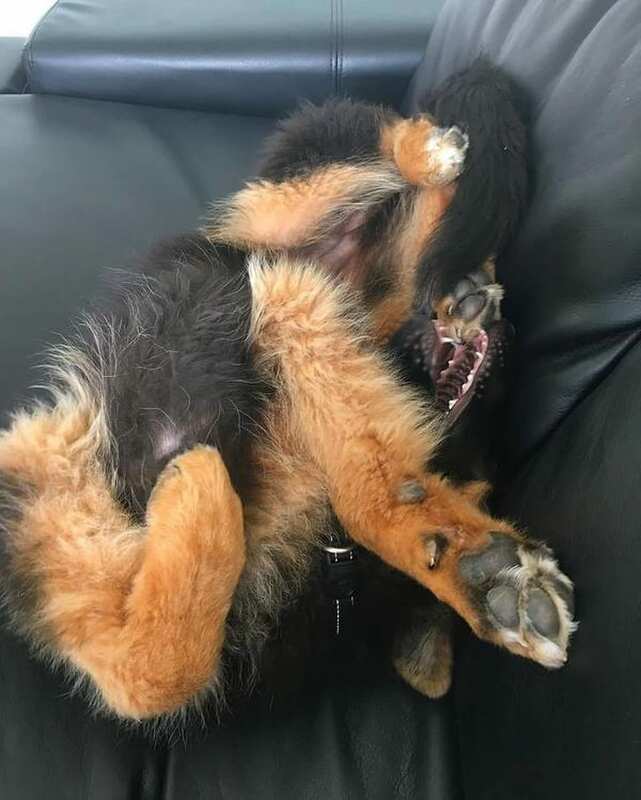 While dangerous to all around them, German shepherds are also very elegant. Like cats, they can jump onto a piece of furniture gracefully and without any embarrassing incidents. They are nimble and light on their feet. 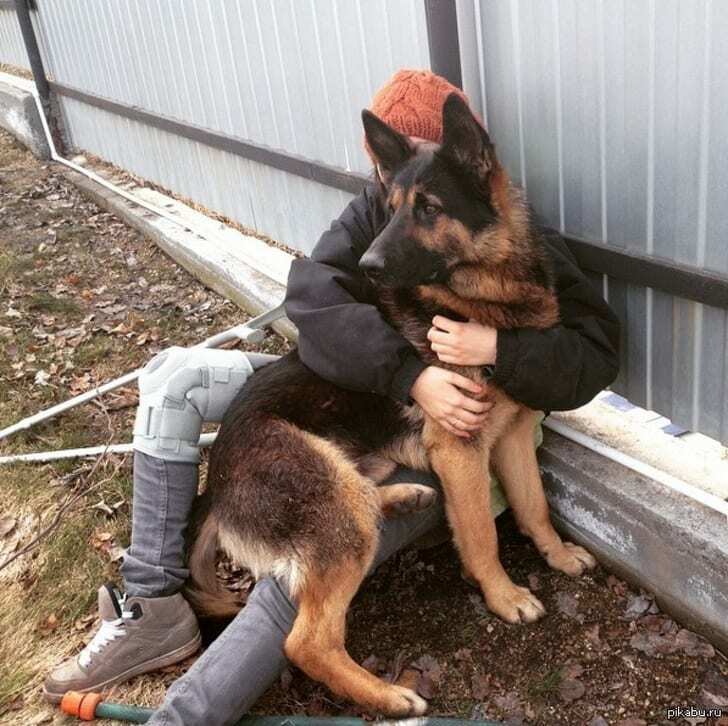 German shepherds definitely do not cuddle, ever, period. They are not the perfect companion for your children. They also come in a white coloration variant, which is news to me. Maybe the white ones are far enough from their brethren that they will cuddle, as shown in this picture. 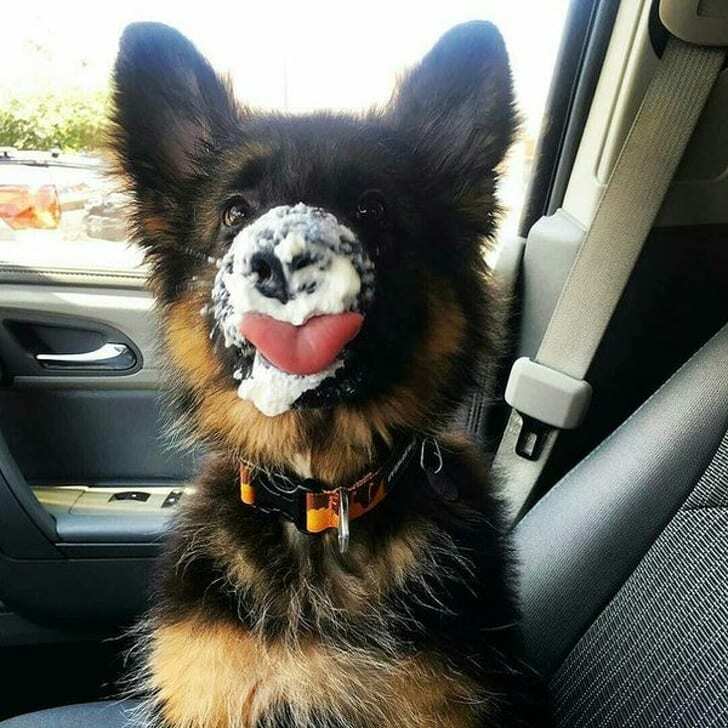 Forget the fact that some German shepherds seemingly love the cream at the top of the morning coffee. And if that fact became known it would be the end of their fearsome reputation. Don’t reveal this or you could end up getting death threats from them like me. German shepherds become more terrifying with age. Their disposition also changes to reflect their advancing years. Like elderly humans, they become crankier and less patient as they age. 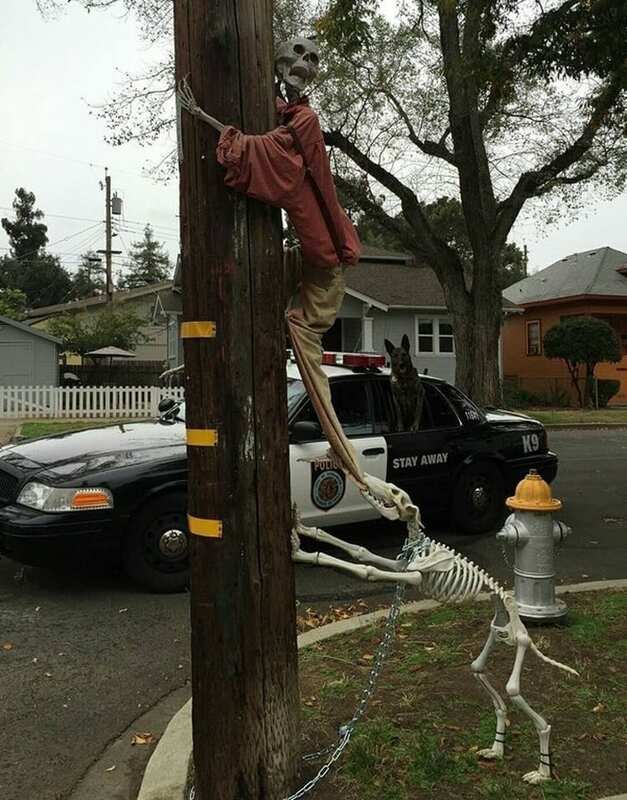 They also take to waving canes and telling kids to get off of their lawn. 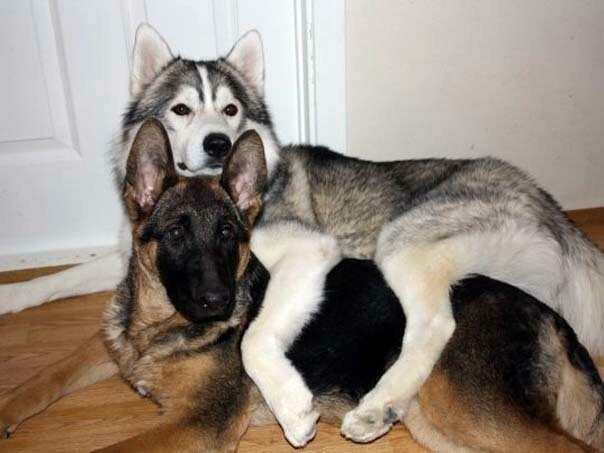 German shepherds are incapable of love and can’t even show it in many cases. When they do seem to show love, it is merely as a ruse to lower the guard of anyone they’ve set their sights on. What better way to make someone miserable than to gain their trust, and love, first. Unless you are a glutton for punishment, never get more than one German shepherd. Not only does this increase your misery by two, it also sets in motion a self destructive chain of events as the two plot and plan against each other. 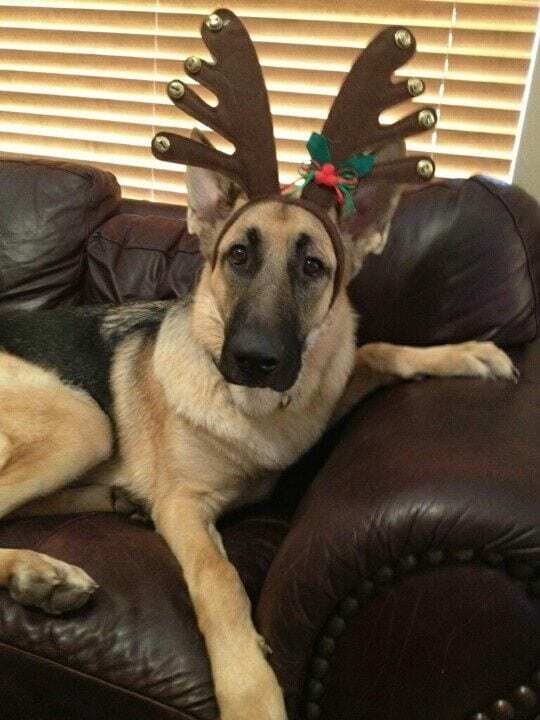 If you must own a German shepherd, do not keep them in your home. This keeps them from inserting themselves in every aspect of your life, including your sleep routine. Keep them in a kennel out back, or, better yet, don’t have one at all. 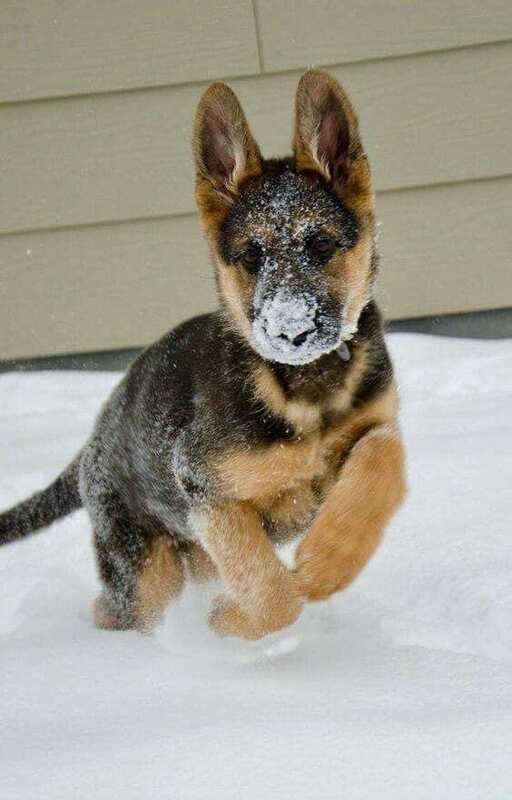 German shepherds hate the snow, plain and simple. 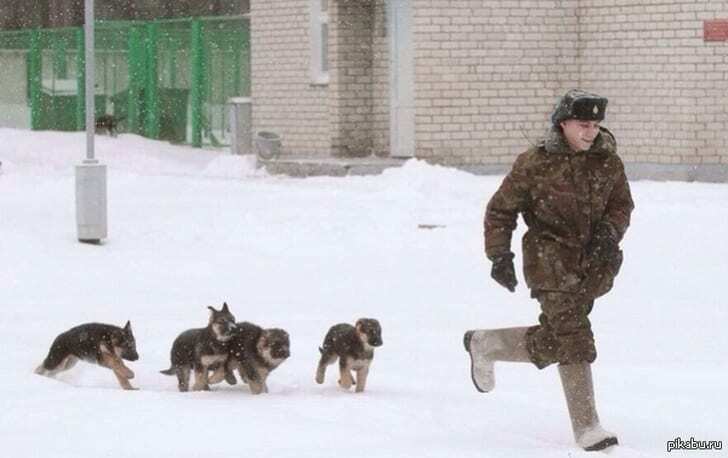 As a matter of fact, if you ever find yourself needing to get away from a German shepherd, head for a snowy area. Just make sure to wear your boots and warm clothes! 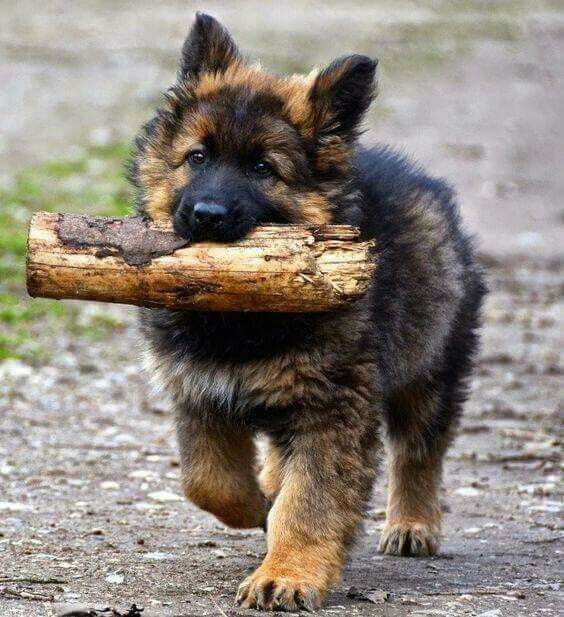 If you happen to get a German shepherd, get ready to have everything you hold dear destroyed. Whether that’s your shoes, your laptop, or your furniture, say goodbye to your personal belongings, or at least keep them out of reach. 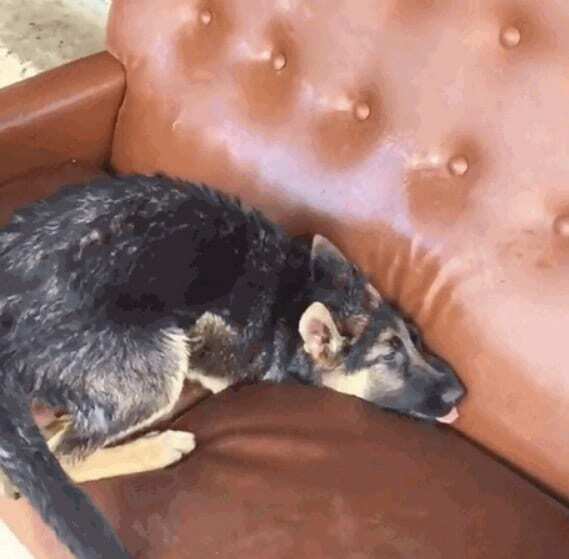 German shepherds hate water. Much like the Wicked Witch of the East, they actually melt if exposed to water. So, if you ever find yourself cornered by a German shepherd and some flying monkeys, reach for the bucket of water. 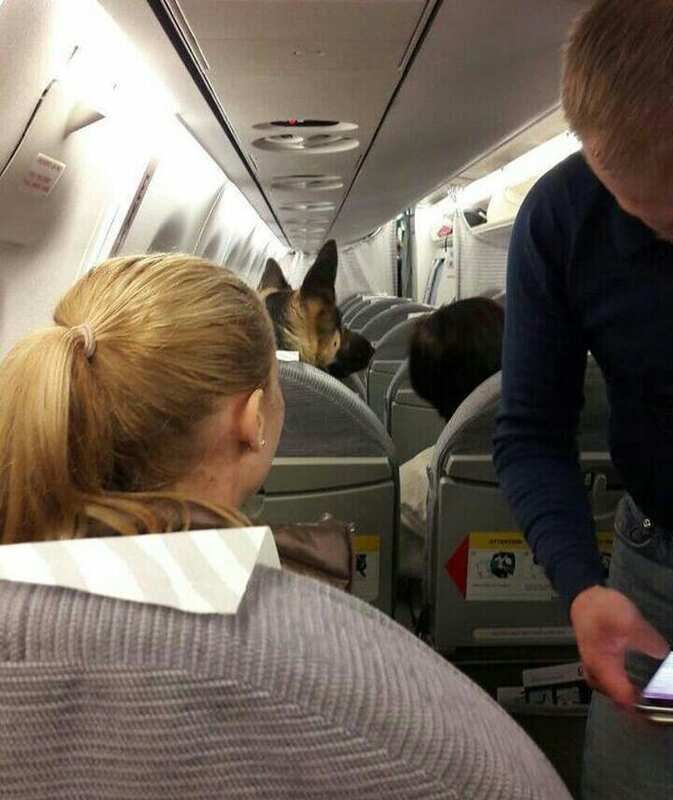 You can’t take a German shepherd anywhere, especially on trains, planes, or busses. Not only can they not handle being around other people, the enclosed spaces make trigger their claustrophobia. Forget hugging! 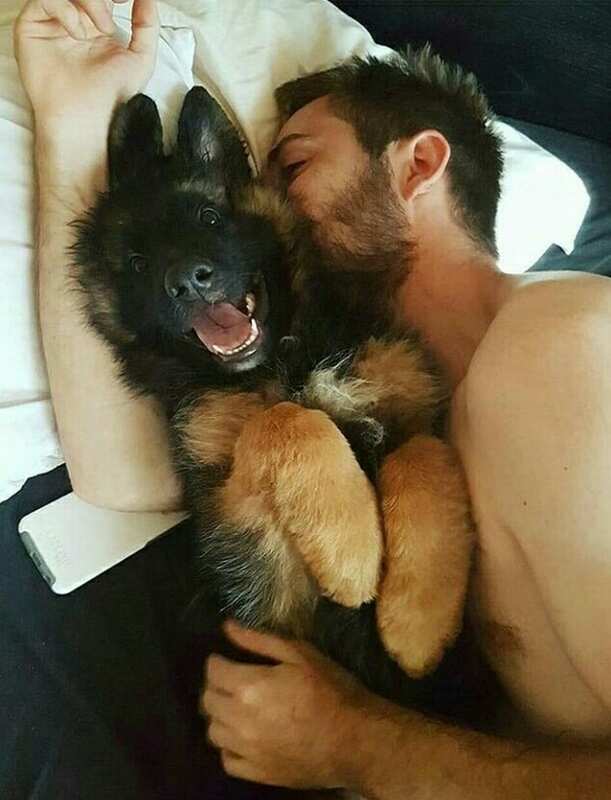 German shepherds view hugging as poison to their soul. 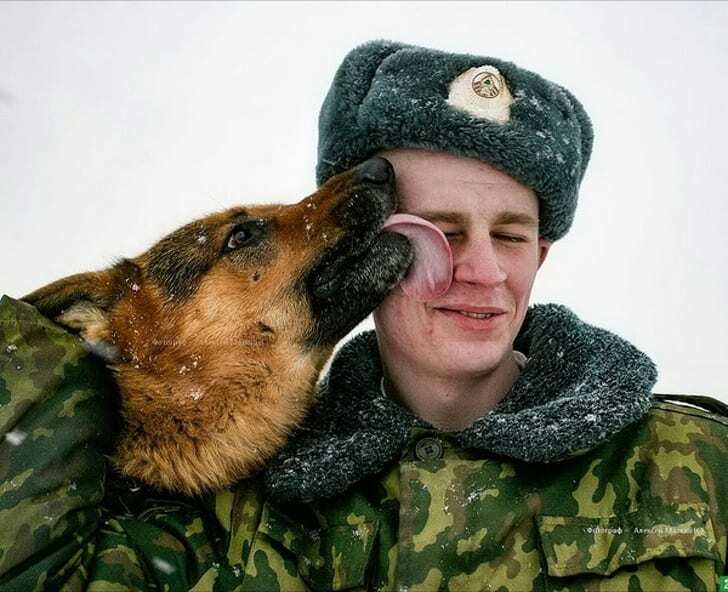 Unlike licking, which they use to disarm any potential prey, hugging actually requires a German shepherd to have to move around, which is something they hate with a passion.